Editor’s note: This is a final note from Secretary Deb Markowitz as she helps the Agency of Natural Resources transition to a new leadership team. Six years is a long time to serve as Secretary of the Agency of Natural Resources. From the moment I arrived at our offices in Waterbury, people kept reminding me the average stay of an agency head at ANR was only 18 months. Some warned me not to get too comfortable. Others cynically noted that perhaps when I took the job I did not fully understand the hazards of the position. A revolving door of leadership is bad for an organization. It makes effective management of personnel and budgets challenging, and it can result in the failure to resolve difficult policy issues. For an agency charged with protecting Vermont’s natural environment, protecting public health, helping developers to efficiently navigate our permit programs, promoting outdoor recreation, supporting the working landscape, and other important work, it can be even more problematic. Much of what ANR does is by its nature prone to controversy—which may be what led, in the past, to the short tenure of its leaders. Indeed, in my first year as Secretary we received hundreds of communications urging us to implement (or not) the campaign promise to revoke a rule that allowed ATVs on state land. We heard from Vermonters who had strong opinions—for and against—ANR’s mitigation agreement with Kingdom Wind to ensure that the developer met its legal obligation to prevent an undue environmental impact. We heard from Vermonters who were concerned about Pete the Moose, a wild animal that was being kept as a pet in violation of the important principle that wildlife needed to be kept wild. It was clear to me as an incoming ANR secretary that if we were to do our jobs well we could not shy away from the hard issues. I also believed that by playing it straight, basing our decisions on the best available science and the rule of law, we would weather the storms of controversy and advance the mission of the agency to serve the people of Vermont. By every measure, this approach has been successful. We resolved many longstanding issues. Working with the Agency of Transportation, we ended the decades long debate and multiple lawsuits about building the circumferential highway in Chittenden County. By firmly stating that it would not pass legal muster under our wetland and water quality rules it allowed the transportation planners to move forward to address the traffic problems in other ways. We issued a water quality permit for Waterbury Dam that had been outstanding for decades. The new permit is designed to bring the hydroelectric generation operation into compliance with the Clean Water Act while protecting the recreational use of the reservoir. After years of odor complaints and enforcement actions we made the difficult, but necessary, decision to require the Moretown Landfill (which was at capacity) to close. We worked with EPA and our partners in the Agency of Agriculture and Transportation to develop a Lake Champlain cleanup plan that meets Vermont’s obligation to ensure clean water, while considering the legitimate concerns of municipalities, farmers, developers and others. By focusing on science, the rule of law, and our environmental mission, we advanced important new legislation, including shoreland and river corridor protections, universal recycling and increased protections for threatened and endangered species. We put a spotlight on the importance of Vermont’s forest and the essential role of good forest management for the economic, ecologic and cultural benefits they provide. We also incorporated the best scientific thinking about climate change into all ANR programs. This included new approaches to managing our rivers and floodplains to protect Vermont’s communities from floods, technical guidance for managing forests to address their vulnerability to climate impacts and potential to sequester carbon and new approaches to managing Vermont’s game and non-game species. Working with Vermont’s Climate Cabinet, and in partnership with states in our region, we also took meaningful steps to reduce Vermont’s greenhouse gas emissions. It takes years to transform an agency. With sustained leadership, administrative and organizational changes can be implemented that alter an agency’s culture, improving service to the public as well as staff morale. One example is the implementation of LEAN, a program that engages staff at all levels to identify opportunities to streamline our programs and business processes. I feel honored and privileged to have served as the Secretary of ANR, and I am grateful for our hard working and mission driven staff—from IT to enforcement; from our financial and business managers to our scientists, foresters, biologists, engineers, wardens and technical staff; from our permit writers to our administrators, planners, park staff and surveyors, communicators and legal team. Each member of the ANR team contributed to the ANR’s success. While I am sad to be leaving ANR, I could not be more pleased with Governor-Elect Scott’s choice for the next Secretary. Julie Moore is a former employee at ANR whose long-standing commitment to the health and well-being of Vermonters and our environment is without question. I am confident that she will be an effective and successful leader. 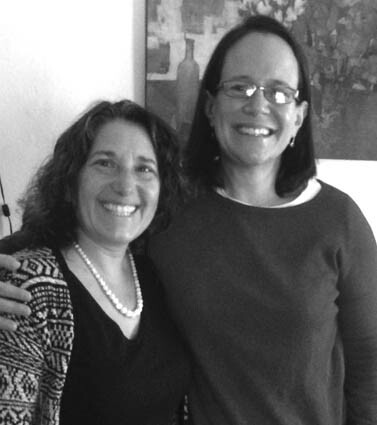 Transitioning the leadership of ANR, Secretary Deb Markowitz stands with incoming Secretary Julie Moore.